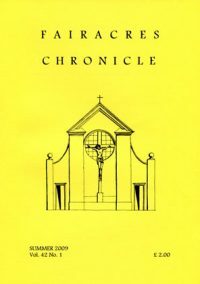 The Fairacres Chronicle is published twice a year, during the summer months and before Christmas. 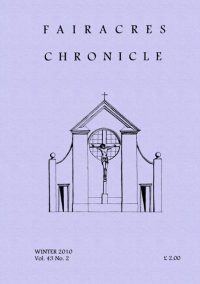 It is a journal of community news, together with articles of relevance to the community and its contemplative monastic way of life. 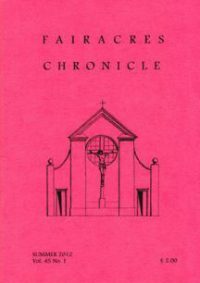 The articles, some of which have their origin in talks or sermons given at our convent at Fairacres, are written by sisters and friends and associates of the community. 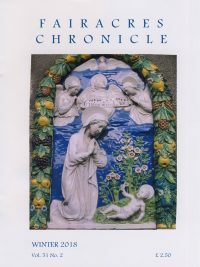 We aim to provide a wide selection offering spiritual reflection and insight. 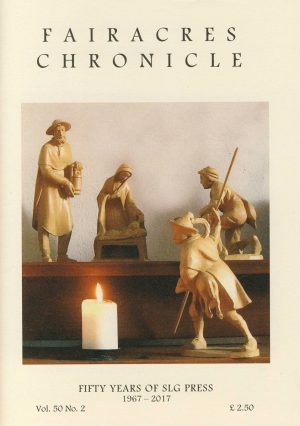 We also offer reviews of recently-published books which we believe may be of interest to our readers.